In 1927, the Mississippi River swept across an area roughly equal in size to Massachusetts, Connecticut, New Hampshire, and Vermont combined, leaving water as deep as thirty feet on the land stretching from Illinois and Missouri south to the Gulf of Mexico. Close to a million people -- in a nation of 120 million -- were forced out of their homes. Some estimates place the death toll in the thousands. The Red Cross fed nearly 700,000 refugees for months. Rising Tide is the story of this forgotten event, the greatest natural disaster this country has ever known. But it is not simply a tale of disaster. The flood transformed part of the nation and had a major cultural and political impact on the rest. 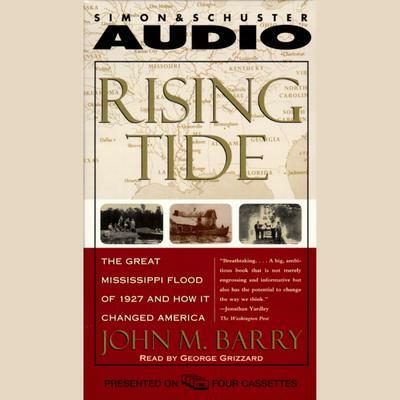 Rising Tide is an American epic about science, race, honor, politics, and society. Rising Tide begins in the 19th century, when the first serious attempts to control the river began. From the engineers and the dominant families in the Delta to the New Orleans elite, Rising Tide tells how the flood changed the face of American and laid the groundwork for the New Deal.